Making young kids sit at the table for dinner can be challenging at times. Bursting with energy, they want to run around, jump, do anything else but eat quietly. If on top of that they happen to be picky eaters, here you have the perfect recipe for an agonizing dinner. My youngest is still in his high chair and I dread the day, which is too come very soon, when he’s upgraded to a booster seat. This will give him the freedom to leave the table and join his big brother in endless come-and-goes. Our trick to keep the oldest at the table for longer spells is to engage him in conversations – though this strategy has its downside as he will talk and forget to chew on his food, in case he happens to be in a talking mood – he’s usually a quiet little boy. Another trick would be to make the table a fun place, where he wants to be as opposed to has to be. 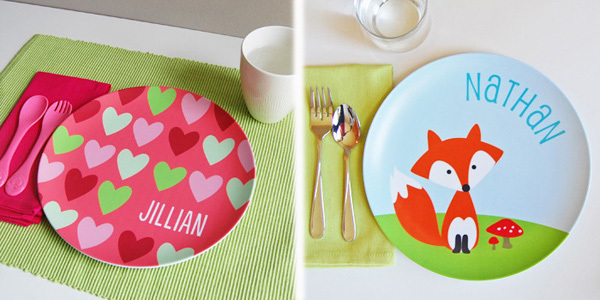 Cool coloring placemats, personalized silverware and personalized plates for kids can help turn dinner into a more relaxing and enjoyable time that each family member can look forward to. 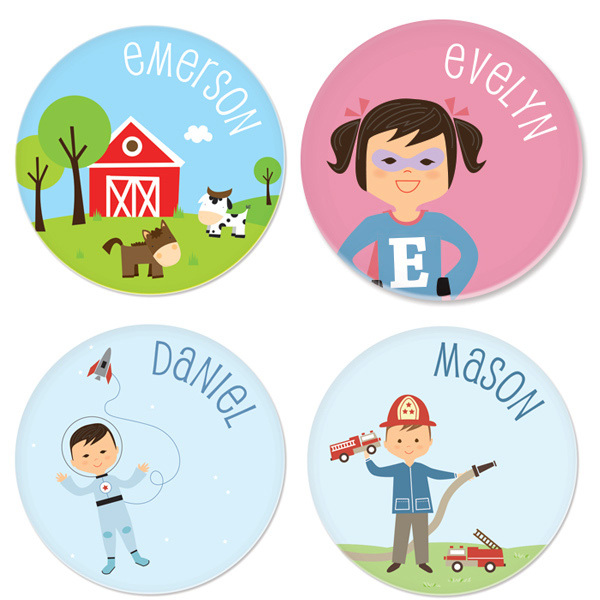 There are several companies that create personalized plates for kids, but Sarah + Abraham and DylBug stand out by design and personalization choices. Sarah + Abraham is a stationery and gift retailer based in Naperville, Illinois. What started out as a simple Etsy shop featuring nursery art prints has expanded over the years to include a wide variety of personalized paper products and unique gift items. Sara, the founder of the company, loves creating products that she believes in – products that her kids adore, stationery that she uses herself, and gifts that she’s proud to give to her friends. They offer such a great variety of personalized plates for kids that I would really have a hard time choosing just one design. 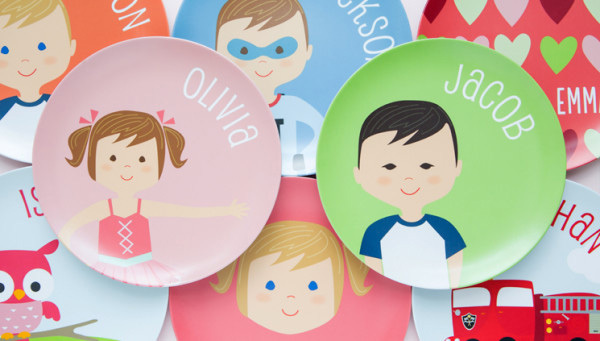 You can go simple and pick the ones with just the name of the child or you can go for their ultimate plates, the face plates offering a big range of personalization options, from skin tone to eye color and even expression : smiling or laughing (how cute is this!). Is your little girl into princesses? Then what about having her cute little face on the plate while wearing a tiara and with a magic wand in her hand? I’m sure she’d love it! If she loves ballet, nothing easier, choose the ballerina plate. Plenty of options for boys as well: astronaut, firefighter, superhero. 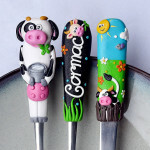 Sarah+Abraham has you covered for birthday gifts for your kid’s friends and schoolmates. Once kids start going to preschool, birthday party invitations pop up more and more frequently and while we’re thrilled about the first ones as we perceive them as a positive sign of our little ones’ social acceptance, we soon find ourselves clueless about what presents to get. 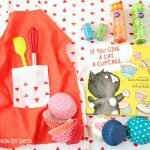 The party theme gives a good clue on what the birthday kid loves but if you think of going to the closest toy store to purchase a theme-related gift, you may want to consider that other parents will do the same and the kid will end up with several gifts of the same type. 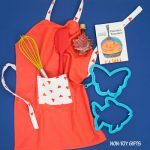 If the party theme is firefighter, outer space, princess, superhero, farm, here are some great gift ideas for you. (see the plates above). Otherwise you can get a simple plate with just the name on it or one with the name and a cute little animal. 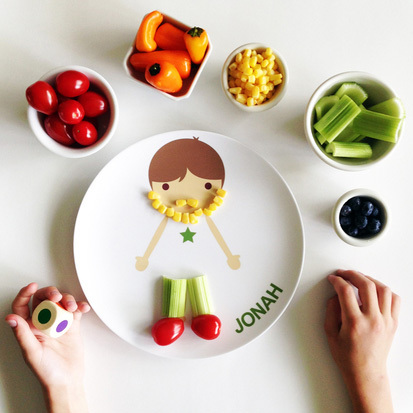 The Little Me plates created by DylBug give you the same liberty in customizing the look of the child on the plate: hair style, hair color, eye color, skin color and name. 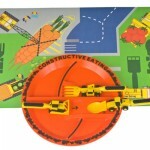 What sets these personalized plates for kids apart is the unique concept of encouraging children to get creative with food. Picky eaters are sensitive to new textures, flavors, even food colors and letting them play with food will help them get familiar with different veggies and fruits and hopefully accept them soon. If you’re not sure that letting your child play with food is something you want to do, you should read about this study in the UK , where researchers discovered that playing with food may help preschoolers become less picky eaters. The founder of DylBug, who is the mom of a very picky eater, shares a little snack game she invented for her kids that involves the personalized plates and 6 different color fruits and veggies. Check out the Dress Up Color Game for the rules. 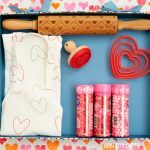 The plates come with an outfit cutter, which is perfect for cutting out sugar cookies, sandwiches, cheese slices, watermelon and more. While I love these plates and the idea of taking the pressure off kids, knowing that playing with food will eventually lead to trying new veggies and fruits, I think they kinda put more pressure on parents as they’ll be the ones beating their brains out to cook meals that can be cut into little outfits and find cute accessories to go with those. 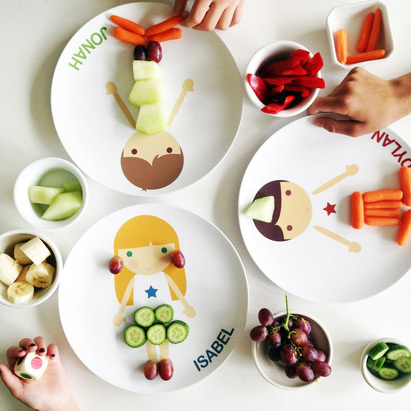 I don’t see these plates working for dinner also because of the small portions but they are great for snack time when you can let your kids practice their food art. 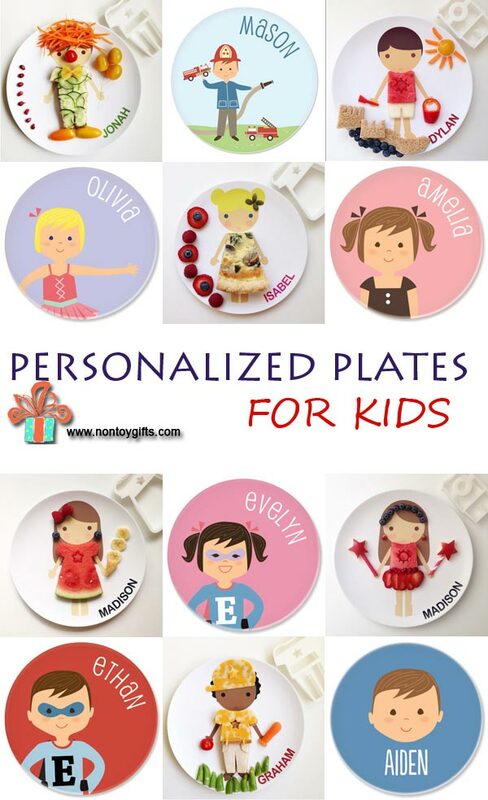 These personalized plates are on the 25 personalized gifts for kids list. Adorable. 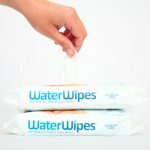 I’m definitely putting these on my gift list – they would make a great gift to a new big brother or sister. What a darling idea, but why just for kids? I can think of quite a number of different uses for the young at heart as well! My youngest still eats out of plastic plates but once he’ll be upgraded to regular plates I’m afraid the boys will also fight over plates. I got them personalized placemats with their names on them and there is no fight over those.